Although REACT International was originally created with the concept of coordinating the creation of chartered local Teams for the purpose of organized monitoring of CB channel 9 from its member’s homes spread around the country, today’s REACT Teams utilize many different modes of communications, including GMRS, FRS, commercial radios, and of course, Amateur (Ham) Radio. REACT International now coordinates the creation of teams world wide, and encourages the growth of teams by utilizing any mode of communications which will be effective in their local communities. 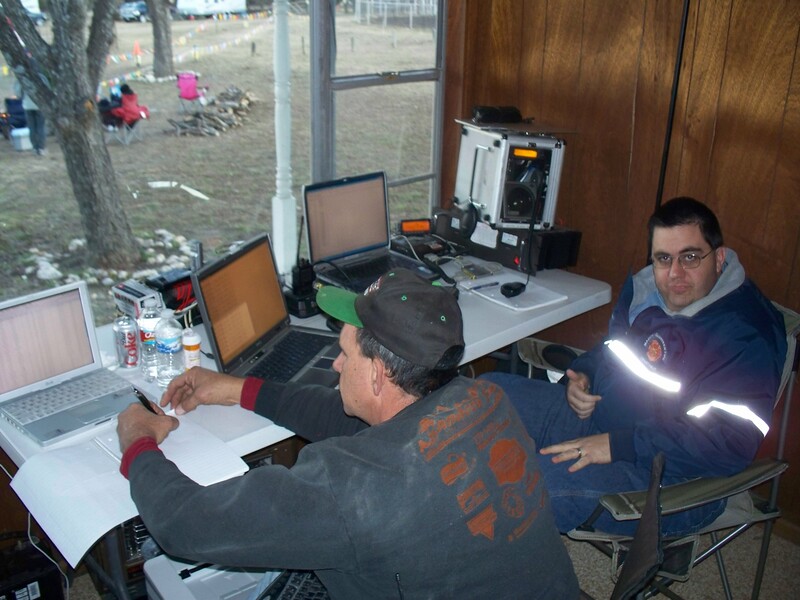 In 2010 our local REACT Team replaced the GMRS repeater near Canyon Lake with an Amateur Radio Repeater on 444.450. In late 2011, the last remaining repeater was removed from service by the tower company (Kennedy Associates) who had been donating the space to REACT since 1987. Several factors, including the decline in popularity of CB radio and the growing use of cellular phones, spurred the change in direction and operating procedures of our group. With the strength and unity of our team, we began to focus on our role as a regional mutual aid organization. Our membership pursued Amateur Radio as a communications resource in addition to the public frequencies we had always used. We also formed relationships with local government agencies, disaster response agencies and amateur radio clubs to let them know we were capable and ready to assist during times of disaster. The use of Amateur Radio by our REACT Team has seen such a steep increase, that in fact, just about every member of our team for the past many years, is either already a licensed Amateur Radio Operator, or working on earning their license. 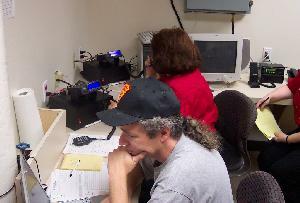 Today, most of our team’s routine operations during events are conducted on Amateur Radio. We are capable of operating in different modes (voice / digital) on almost all HF, VHF and UHF amateur radio, public safety, and business bands. 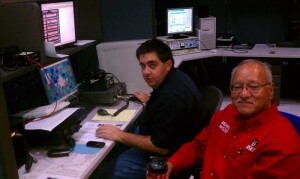 Our Amateur Call Sign is K5HCR. We have members in the team residing in multiple counties surrounding Comal County, including Bexar, Comal, Kendall, Bandera, Guadalupe, and even Hays County. Today, you will find REACT members belonging to almost every other ham club and organization in the area, and in some cases, serving on their board of directors. REACT members train together as a Team, by using public service events and drills to practice working together and improving our skills in communicating between ourselves and other stations. REACT does not believe in waiting until the emergency is upon us before teaching our members how to be better prepared to respond in a timely manner. Hill Country REACT is prepared and available to assist in local emergencies in and around the Central South Texas area. We have a well trained volunteer base ready to serve on short notice. Once set up on site, we can operate self sufficiently for extended periods. We frequently respond to requests for assistance in neighboring counties, especially Bandera, Comal, Kendall and Guadalupe. Our Team is familiar with, and is well known by, other emergency service organizations in the area, which helps smooth interaction during a real disaster or emergency operation. We maintain our skills and equipment through regular community service events. Often this entails deploying a mobile command center to the event site, setting up our equipment, providing communications assistance during the event, then dismantling the system and returning the equipment to standby. We have responded to requests for assistance in neighboring counties, especially Bandera, Bexar, Kendall and Guadalupe. Our members are extremely experienced with coordinating the communications for large parades, bike-a-thons, run-a-thons and similar events. Membership is open to any interested individual who can pass a criminal background check. This background check is a requirement from REACT International to ensure that our members can be relied upon by local law enforcement and other agencies to which we provide support. Click on the Membership tab on this website for more info about becoming a member of our group. We have been known to occasionally coordinate more than one event on the same day or weekend, depending upon manpower requirements and the availability of our members to rise to the challenge, so the more advance notice the better. We prefer to be involved in the pre-event planning as well, which can help make your event run smoother with our experience and expertise on a wide variety of event types and venues. To Request Our Assistance with your Public Service Event, please download and complete our request form or contact our Operations Officer. This form is in Adobe Acrobat PDF format and is 81kb in size. Our event schedule is usually loaded with prior obligations, so you might want to check out our online calendar of events prior to asking for help on a new event.